Google want to save its users' bandwidth at home. The company has released a "Data Saver extension for Chrome," bringing its data compression feature for its desktop users for the first time. While tethering to a mobile Hotspot for Internet connection for your laptop, this new Data Saver extension for Chrome helps you reduce bandwidth usage by compressing the pages you visit over the Internet. 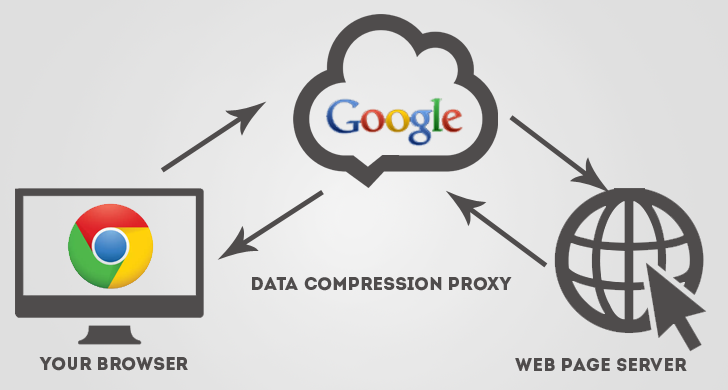 If you are unaware of it, the data compression proxy service by Google is designed to save users' bandwidth, load pages faster, and increase security (by checking for malicious web pages) on your smartphones and tablets. Until now, the data compression service has been meant to benefit only mobile users, but the latest Data Saver Chrome Extension aims at helping desktop users by reducing their data usage by as much as 50 percent. "Reduces data usage [bandwidth] by using Google servers to optimize pages you visit," the extension's official description reads. "Browse more for less! When this [Data Saver] extension is enabled, Chrome will use Google servers to compress [web] pages you visit before downloading them." When you visit a website, web server delivers the requested files to your browser. If enabled by the server, Gzip compresses web pages and style sheets before sending them over to the browser. Gzip compression drastically reduces transfer time since the files are much smaller. Data Saver Extension for Chrome checks if the website you visited has gzip enabled or not. If not, it compresses the requested web page via Google Data Compression proxy and makes it significantly smaller. The Data Saver Chrome extension currently doesn't support secure SSL pages or incognito pages, and Google notes that users may experience issues when they have enabled the extension. Data Saver is available on Chrome both for Android as well as iOS. User will need Chrome 41 or higher version to use the extension. As soon as you install it, the extension starts to work by default. In case you want to disable it, click on the Data Saver icon in the menu bar and select "Turn Off Data Saver." You can now download Google's new Data Saver extension for Chrome, which is currently in beta version, from the Chrome Web Store. The extension was released on March 23, without any announcement from the search engine giant.